A congenital heart defect is a problem with the heart that a baby is born with. Most conditions are now diagnosed before or just after birth, and advances in treatments are making it possible to fix most defects. At Wolfson Children’s Hospital, children with congenital heart defects are diagnosed using the latest technology and receive the most advanced treatments available. Children need care, equipment and procedures designed specifically for their small bodies and tiny hearts. You can rest assured knowing everyone at the Terry Heart Center — doctors, nurses, technologists and other team members — has vast experience providing lifesaving cardiac care to children of all ages. Every year, Wolfson Children’s cardiovascular experts provide care and management of congenital heart disease in our state-of-the-art facilities for more than 8,000 children and adults for a wide range of heart conditions. Routine ultrasounds and prenatal tests are revealing heart defects in children before they are even born. This is probably a diagnosis you didn’t anticipate, but our special programs run by experienced heart specialists are designed to help you through this. 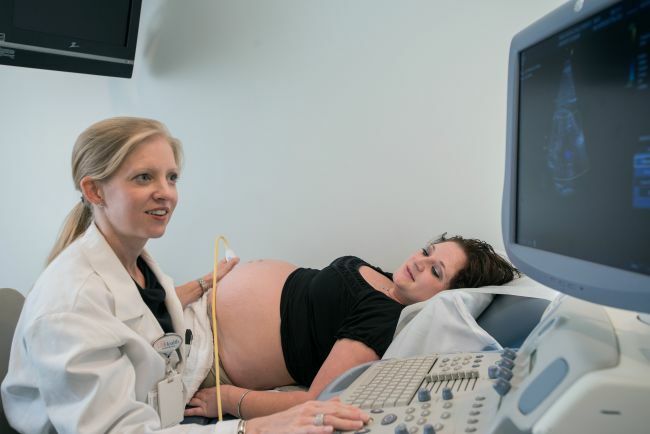 Our Fetal Cardiac Care Clinic uses fetal echocardiography (a sonogram of the baby’s heart) to confirm a diagnosis and pinpoint the exact condition. Parents receive information and prenatal education to help them understand the type of heart defect their unborn baby has, as well as the treatments or surgeries that may be needed. Parents also can meet the pediatric cardiothoracic surgeons and take tours of the Newborn ICU and Cardiovascular ICU. The tours give parents a chance to see the facilities and meet the staff who will be caring for their baby after any surgery. Parents also appreciate the opportunity to talk to each other through clinic support groups. This early diagnosis, education, support and planning will help ensure a safe birth, as your baby’s team will be on standby to quickly give your child needed care and support. Depending on your child’s condition, only close monitoring or treatment with medicine may be needed. Some conditions require minimally invasive cardiac catheterization, or more serious treatment, such as heart surgery. When possible, heart specialists at Wolfson Children’s Hospital conduct minimally invasive heart procedures, helping your child receive lifesaving care with a lower risk of infection, pain or bleeding. These surgeries are performed in our state-of-the-art Cardiac Catheterization Lab and have a quicker recovery time than surgeries of the past so your child can get back to the important work of being a kid. Sometimes catheters are used for diagnosis or treatment of congenital heart defects. Specialists in our Cardiac Lab use the most advanced technology to perform these minimally invasive procedures. To close a hole between the two upper chambers of the heart or an abnormal vessel. Placement of a valve in the pulmonary position that minimizes the need for repeat surgeries. In our hybrid vascular operating room (OR), technologies and capabilities combine to create part imaging suite, part catheterization lab and part operating room. We no longer need to transfer the patient to different parts of the hospital for different procedures, resulting in enhanced patient safety and outcomes. The imaging quality in the hybrid OR is far superior, too. Better imaging translates into better results for the patient because the physician can more clearly assess progress during procedures. The real-time confirmation that repairs are working during the surgery also reduces the time a patient spends in the OR. 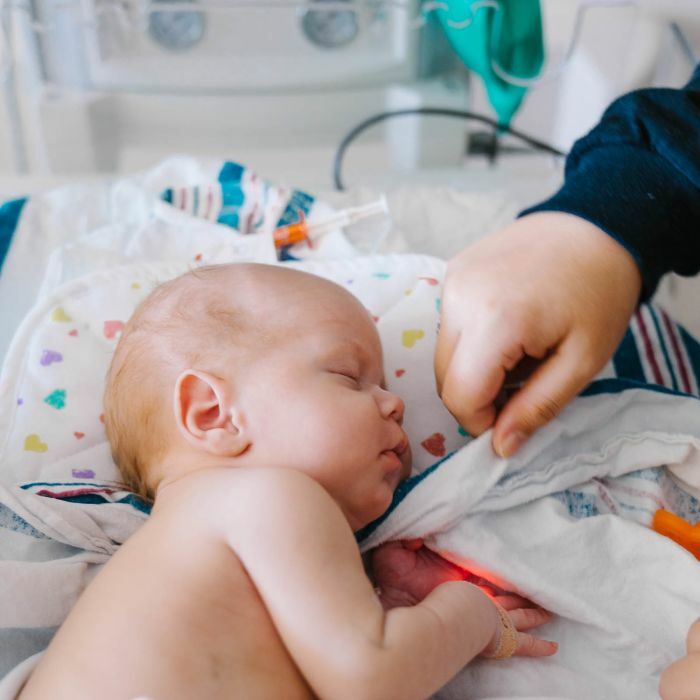 Our 12-bed Cardiovascular Intensive Care Unit (CVICU) is specialized just for children and some adults with congenital heart disease who require close care and monitoring following catherization procedures and surgical repairs. The CVICU is managed by a team of cardiac intensivists (Critical Care Physicians) who are trained and experienced in caring for hearts of all ages with congenital defects. From complex heart surgeries to lifelong care, our congenital heart specialists have the unique expertise needed to care for little hearts. Our specialized team is a collaboration of cardiologists, electrophysiologists, board-certified cardiothoracic surgeons, cardiac anesthesiologists, cardiovascular nurses and rehabilitation therapists working together to deliver the highest level of individualized care for your child. Though a diagnosis can feel overwhelming, the doctors, team members and community at Wolfson Children’s Hospital are here to help your family. In addition to medical care, we will also help you find support groups in the community where you can talk to other families who have children with congenital heart defects. Wolfson Children’s is dedicated to the very best cardiac care and outcomes for every patient. We believe that what gets measured always gets better, and this focus on quality ensures the best care for our patients. Our outcomes are some of the best in the country, and we provide this information alongside national benchmarks from the Society of Thoracic Surgeons (STS) so you can make better decisions about your child’s care. Based on 855 congenital heart operations during the last 4 years. See how Derrick Schachte thrives, despite being born with four life-threatening heart defects, and immune and blood-clotting disorders. Two families formed a close-knit bond when their 4-year-old girls were born with a congenital heart condition.